Microsoft is excited to announce a new preview for the next version of SQL Server (SQL Server v.Next). Community Technology Preview (CTP) 1.3 is available on both Windows and Linux. In this preview, we added several feature enhancements to High Availability and Disaster Recovery (HADR), including the ability to run Always On Availability Groups on Linux. You can try the preview in your choice of development and test environments now: www.sqlserveronlinux.com. In SQL Server v.Next, we continue to add new enhancements for greater availability and higher uptime. A key design principle has been to provide customers with the same HA and DR solutions on all platforms supported by SQL Server. On Windows, Always On depends on Windows Server Failover Clustering (WSFC). On Linux, you can now create Always On Availability Groups, which integrate with Linux-based cluster resource managers to enable automatic monitoring, failure detection and automatic failover during unplanned outages. We started with the popular clustering technology, Pacemaker. In addition, Availability Groups can now work across Windows and Linux as part of the same Distributed Availability Group. This configuration can accomplish cross-platform migrations without downtime. To learn more, you can read our blog titled “SQL Server on Linux: Mission Critical HADR with Always On Availability Groups”. Full text search is now available for all supported Linux distributions. Resumable online index rebuilds enables users to recover more easily from interruption of index builds, or split an index build across maintenance windows. Temporal Tables Retention Policy support enables customers to more easily manage the amount of historical data retained by temporal tables. Indirect checkpoint performance improvements. Indirect checkpoint is the recommended configuration for large databases and for SQL Server 2016, and now it will be even more performant in SQL Server v.Next. Minimum Replica Commit Availability Groups setting enables users to set the minimum number of replicas that are required to commit a transaction before committing on the primary. For SQL Server v.Next technical preview running on Windows Server, encoding hints in SQL Server Analysis Services is an advanced feature to help optimize refresh times with no impact on query performance. For additional detail on CTP 1.3, please visit What’s New in SQL Server v.Next, Release Notes and Linux documentation. Get SQL Server v.Next CTP 1.3 today! 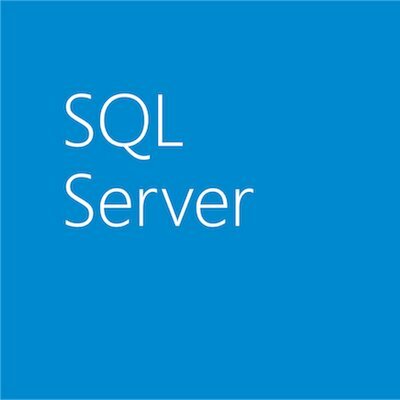 Try the preview of the next release of SQL Server today! Get started with the preview of SQL Server with our developer tutorials that show you how to install and use SQL Server v.Next on macOS, Docker, Windows and Linux and quickly build an app in a programming language of your choice. Sign up for the Early Adoption Program (EAP) – The Early Adoption Program is designed to help customers and partners evaluate new features in SQL Server v.Next, and to build and deploy applications for SQL Server v.Next on Windows and Linux. Have questions? Join the discussion of SQL Server v.Next at MSDN. If you run into an issue or would like to make a suggestion, you can let us know through Connect. We look forward to hearing from you!